This is great work! 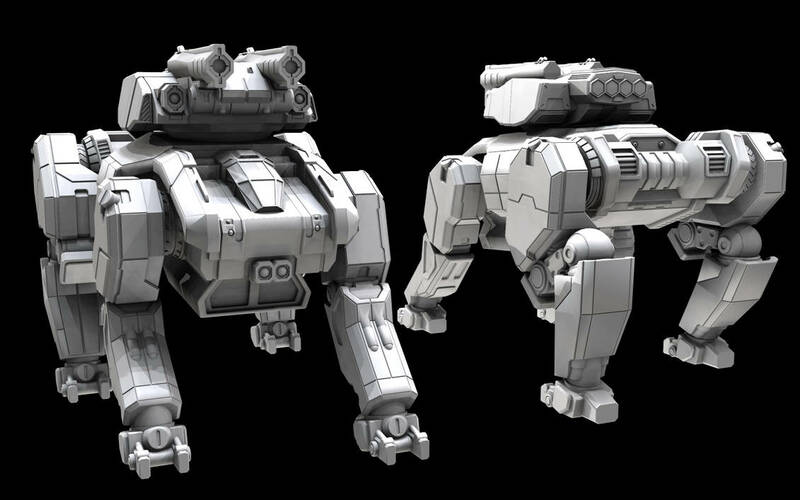 Ahh.. Mechwarrior was one of the reasons I got into 3D modeling. Like - Lizzy777 on February 25, 2019. One of the first models I tried to make that wasn't from a tutorial was a MadCat! My second attempt at building something was this Giger-esque alien creature that I originally drew in Art III from High School. The third thing I tried to make? The U.S.S. Enterprise, of course. So, back to 2015. One day someone sent me a message looking for a for some 3D models to be printed out. I was a bit wary of taking said job because it is a gray area as far as copyright goes. Like, if the rights owners wanted to, they could have brought the C&D hammer down at any time. The gray area of legalities comes in the form of garage kits. Yes, it's better if you get a production license for greater distribution. And technically it's not a good idea to do it even for a single, private commission. But...Well most companies seem to turn a blind eye towards such endeavors. HOWEVER! Since I'm NOT a lawyer of any kind, I wouldn't really recommend doing it. So of course we hammered out some details. I wouldn't make excat copies of said models and some changes would have to be made and all that to the final design. And when things were settled, I went to work and built a rendition of the Matsumoto 45. The protagonist mech from the film Robot Jox. 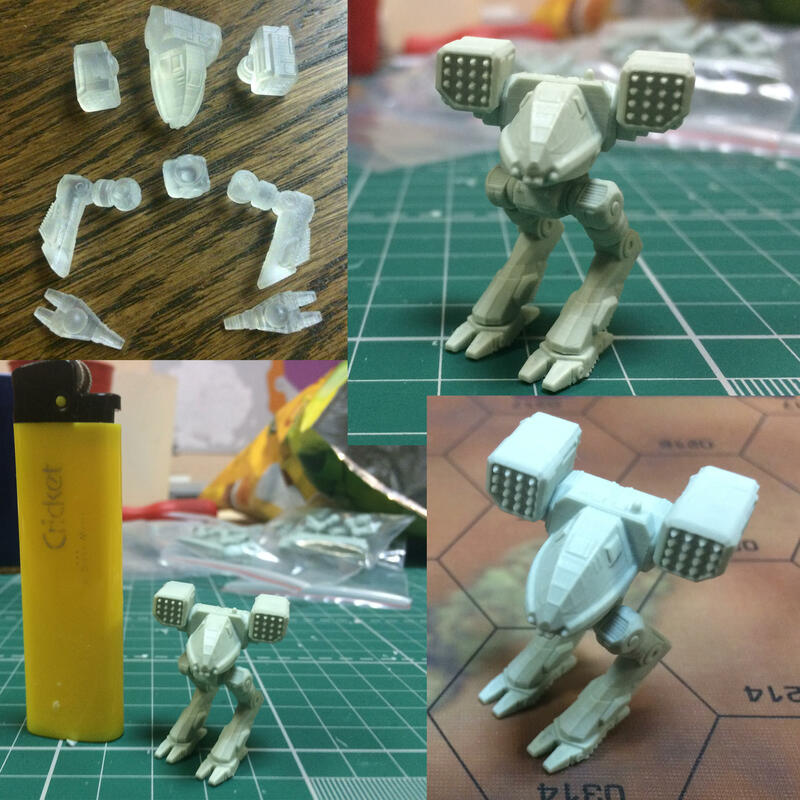 Which was then printed out and made into a resin kit! 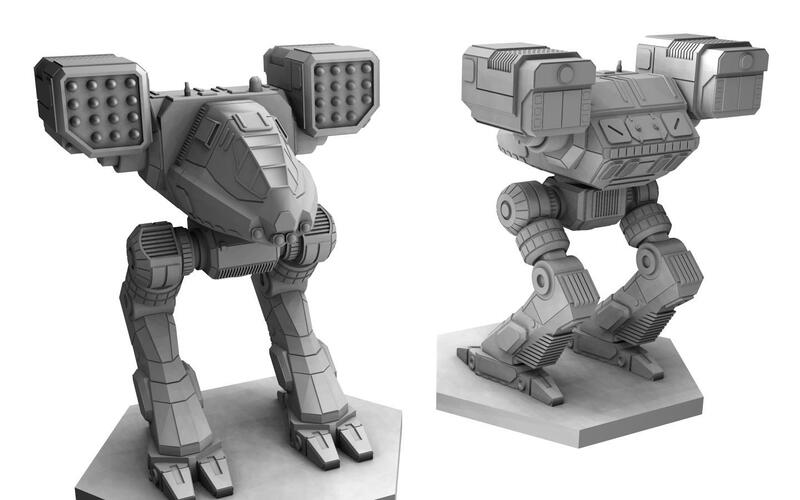 After that we settled on a deal to bring Alexander's antagonist mech to life. And a custom Atlas. Because I guess he really liked my version. 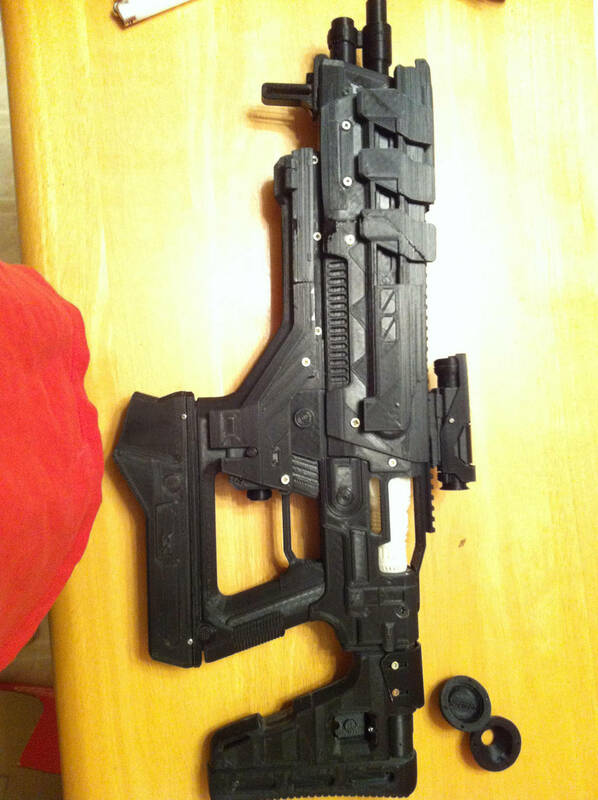 And then a second person contacted me about making a full sized version of a Fusion Rifle from the game Destiny. Turns out this individual and their friend had ripped a game model from the game files and tried to modify it themselves. But then didn't seem able to convert it for proper printing. So that's where I came in. I figured, it was just a simple job, I could do it! Right? Yeah, more experienced people will tell you not to try to "Fix" someone else's attempts. I ended up doing a complete rebuild and using official promotional art, turned a 'modified' game file into a sectioned high detail prop that could be printed on a 20cm x 20cm print bed. It was a lot more work than I initially thought it would be. I undercharged, but the experience gave me knowledge for pricing if a future job presents itself. However the final product came out really well. And then a couple of gentlemen gamers who owned a hobby shop in Moscow contacted me looking for a series of commissions. I figured, hey! I'm on a roll! I'm GETTING WORK! WOOO!!! With a little experience and some new, free software dedicated to converting and saving files in *.STI format, I took the job. First was one of my favorites: The Catapult. Like the Robot Jox builds I did prior, I had to establish that I couldn't in good faith create exact copies of established IP and that these models could only be for private use and all that fun stuff. Turns out my commissioned pieces, plus the cost of printing them out cost them less than importing official figurines. that and we agreed ahead of time that my versions would be in scale to each other. Somewhere around 1:300. And then I would make seven more. When those were finally completed, I was commissioned to do one more model. A Hesse-Kassel 3-pdr cannon used during the Seven Years War (1756–1763). It's scaled size from barrel to tail of the carriage is 10.75cm long. Completing this series of commissions would take me right into 2016! Where in the next post I'll show the final models for a second series of commissions. Plus a severe case of Artist Burnout. Something even worse than Artist Block. Nice work all around. Love that canon though. Like - Lizzy777 on February 26, 2019. That cannon was a brain saver. Still, I was done. I didn't get much else accomplished the rest of that year. I wanted to do a James Dean inspired Securitron from Fallout: New Vegas. But I didn't get much past the TV screen head part. 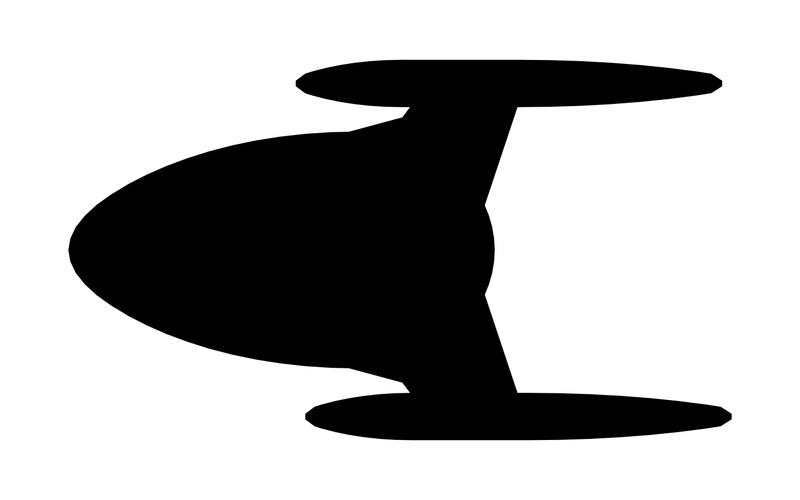 Then I tried to design a Corvette in the Star Trek universe. But I only got this far and set the project aside. I just wasn't feeling it. 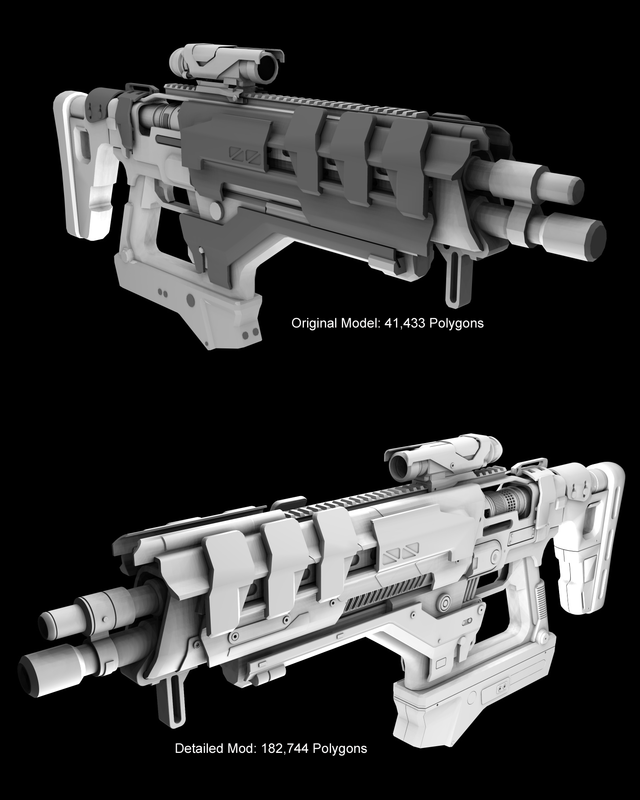 You can see the rest of the progress renders HERE. Who knows? Maybe I'll get back to it! Or start over? I mean I don't have to build the thing based on VOY era starship design. But....Eh. Okay, so 2016 was a bust. I guess it was a good thing that my commission work load hit a dry spell at the same time I was going through creative burnout. So lets jump to January 2017, shall we? 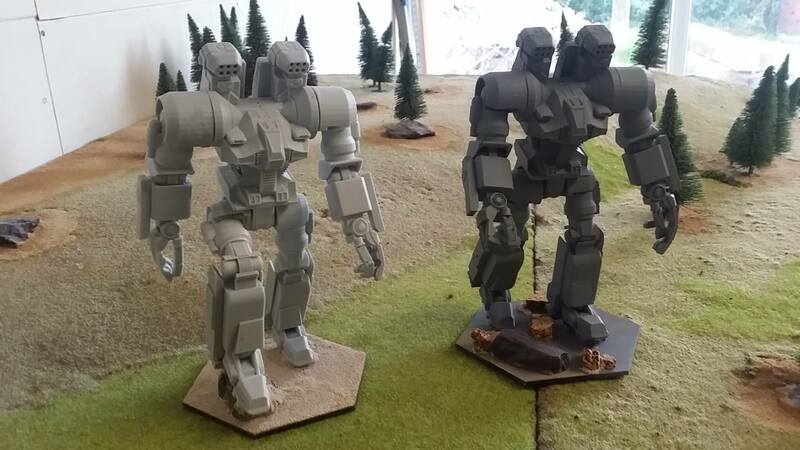 The guys in Moscow liked my models so much that they ordered another set! They wanted to play another campaign setting and ordered a Dervish, Commando, Jaegermech, Panther, and a Grashopper. And just as I was feeling the dread come back, deviantArt hosted an April Fools event based on The Biting Pear of Salamanca by ursulav. 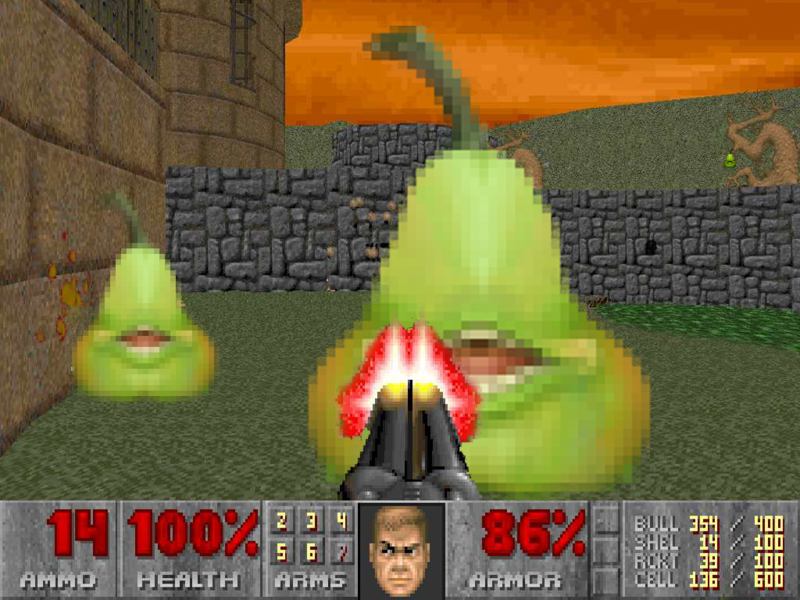 So with some photoshop work and a couple of screen shots, I figured I'd call back to my gamer roots and create The Biting Pears of DOOM! Feeling refreshed, I tried my hand at building a version of the Matrix of Leadership. Of course it helped that I was inspired by prop maker Odin on Youtube. And then deviantArt held another event. This time a randomly generated mashup image idea. 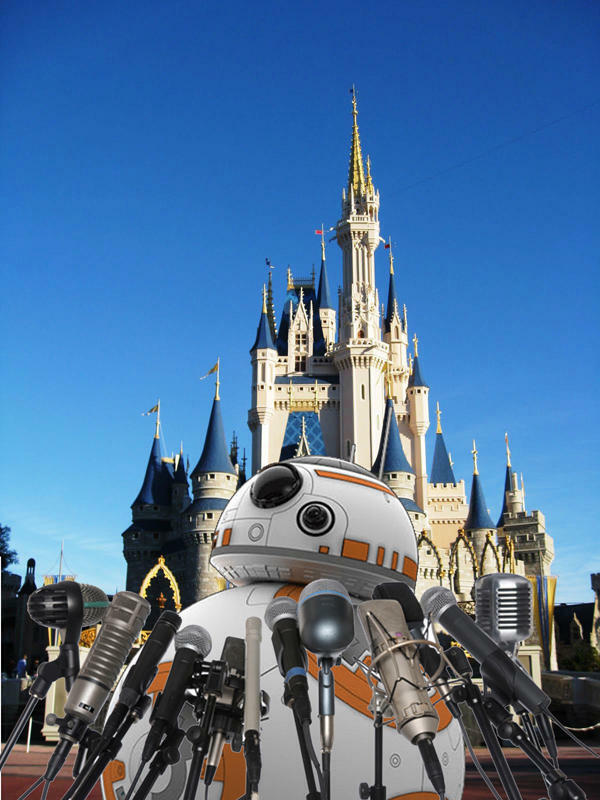 I got... BB-8, at an amusement Park, holding a press conference This one was too easy. Clip art. All of it. Seriously, where else would BB-8 hold a press confrence? Universal Studios? I think not! And then finally, another person sends me a private message asking about a custom commissioned piece. The initial design concept was "Combine an A-10 Thunderbolt with the Black Hawk-ku omnimech, and armed with a retractable blade." So I started with a kitbash. I took the forward section of an A-10 Thunderbolt and stuck on the arms of my C-SRP-O SERAPH INVICTUS and the legs of my Storm Crow Omnimech. And through some back-and-forth with the customer, ended up with this unique design! The Beersheba. Shortly after this was completed, I was contacted by another gentleman who wanted a 3D representation of a piece he'd hired another artist to create. 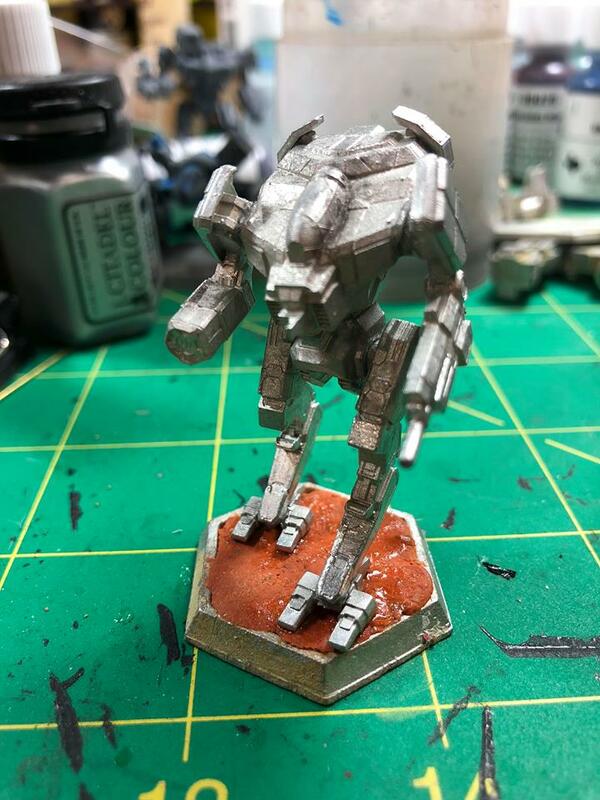 I was tasked with creating a tabletop miniature version of Alex Iglesias' Red Hunter. And man was this a literal headache to replicate. To say that it was a challenge was an inderstatement! I had to learn new techniques to replicate the odd angles of this design as well as figure out the hidden details from that three-quarter view! Through perserverance and determination, I came out on top! 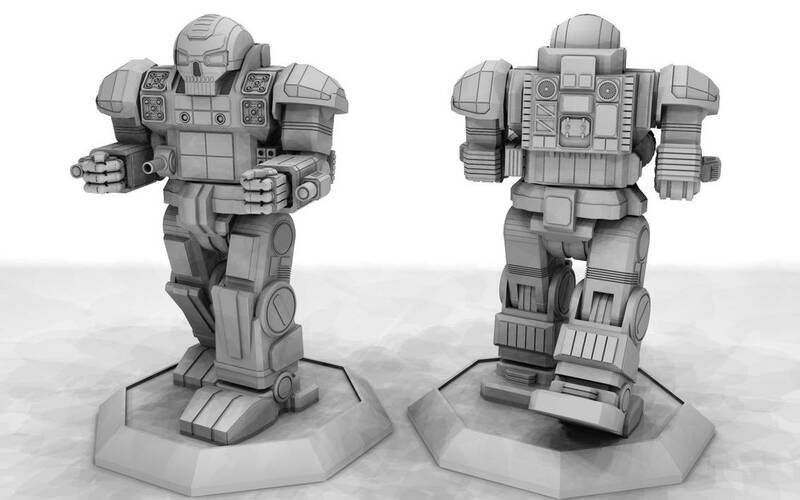 With some input from the fine folks at Iron Wind Metals, the design was finalized and made into a prototype figurine. And that fellow artists wraps up 2016 and 2017! The next year would bring another Alex Iglesias mech design, a famaliar looking starship, a wooden mask, and a Pokemon! Alright! Lets wrap up this exposition and catch up to today. Well, not today, today. But more current than what I've been showing off. 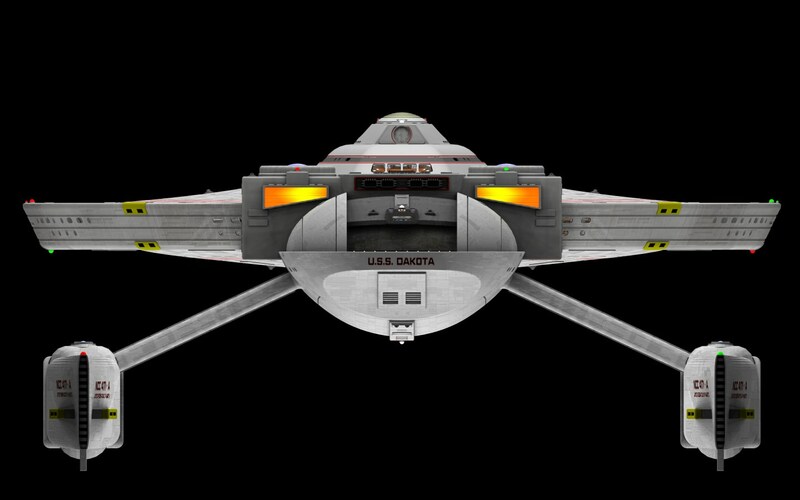 Shortly after completing the Red Hunter, a friend of mine who seems to collect role-playing groups asked me if I could make a version of the Ares-class starship. I mean, yeah, I could, but I didn't want to make a copy of the ship since some people already did. 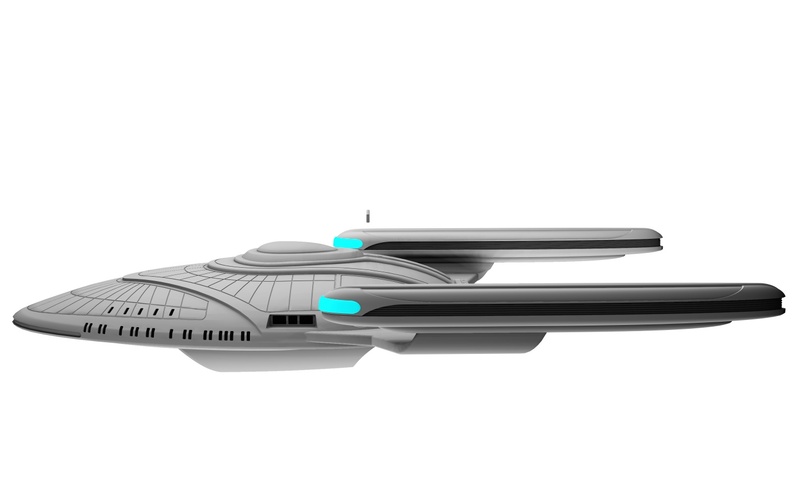 So I suggested I update the Pre-TOS warship to a TMP era design and he quickly agreed. And with an eagerness for a change of pace and two months time, I built this. And then I did two scene renders. 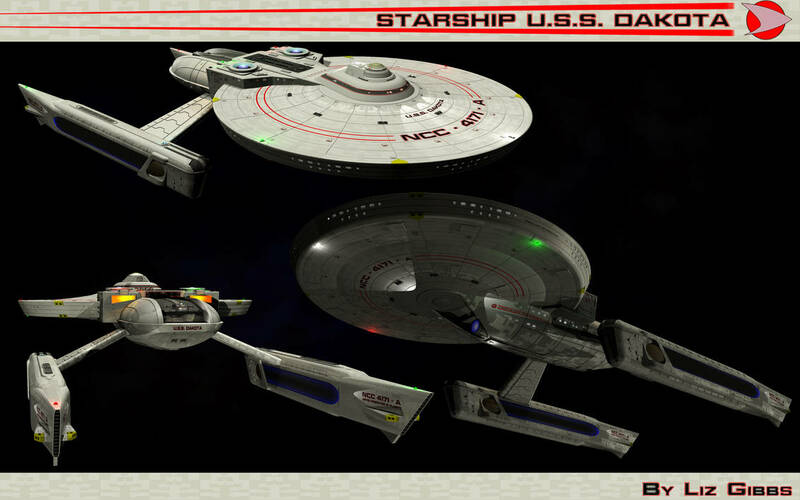 U.S.S Dakota in the system of a Neutron Star. And a shot of the ship at Warp Factor Seven. Maybe I'll post them at the Finished Work section of this forum? When this was done, I was feeling recharged, so I took one another commissioned piece. 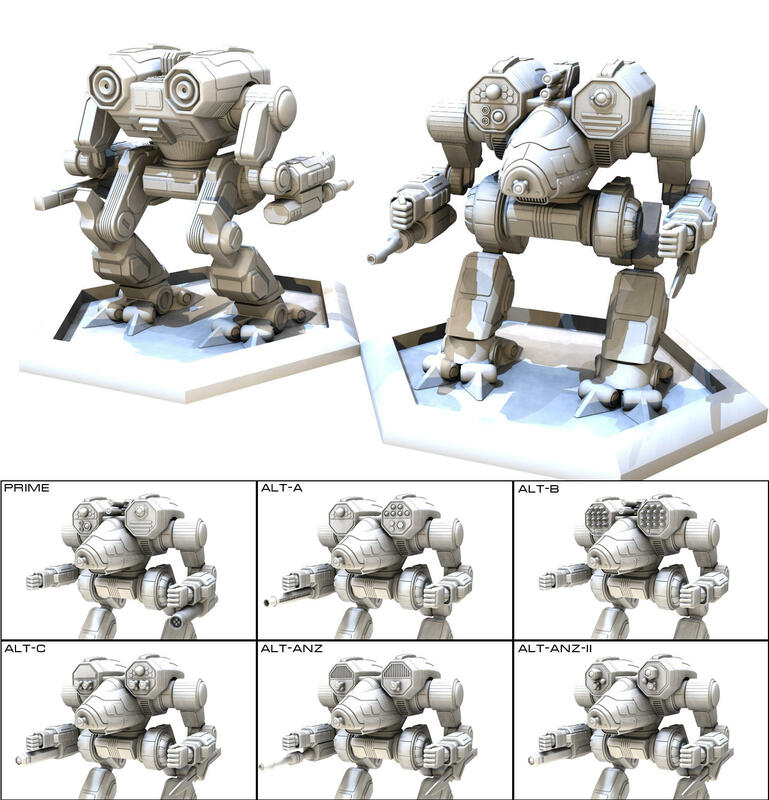 I was tasked with turnining Alex Iglesias' Storm Fox into a 3D model fit for printing. This is the companion piece to the Red Hunter mech. Unlike the previous build, this one was a lot easier to figure out. Though I did have considerable trouble working out the back end. It took me quite some time and several attempts to get the hip section to fit properly and match as close to the original art as I could. The rest of the detail work as before was my attempt to fill in space while emulating Iglesias's unique style. And yes, I just copy/pasted that paragraph from my DA page. Anyway, here's the completed model! Then deviantArt hosted some sort of event to showcase their upcoming Eclipse update with a big puzzle game and treasure hunt event. At the end people were asked to create a mask (the big theme of the game) to represent our own creativity. Most people drew their own stylized masks. However that isn't where my talents lie. I am a 3D artist, after all. Not long after this, I was looking back through my gallery (because I was thinking of starting back up here at SFM) and remembered that Youtuber Skallagrim used one of my older Master Sword images in a critique video. Which was how I found his channel in the first place. That got me thinking of how I'd make the Master Sword a more "practical weapon". Also I've been thinking of doing a series where I'd recreate all of the final challenge weapons from the History Channel's Forged in Fire. So why not start with a Norman arming sword? 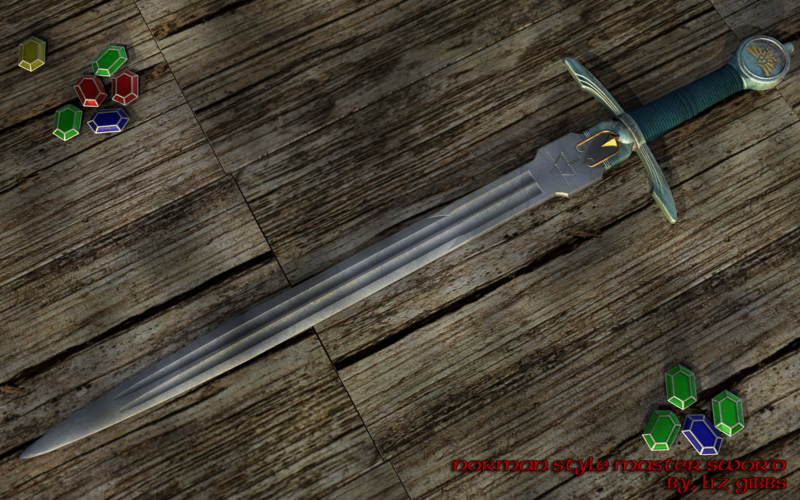 A Norman styled Master Sword! And then purely on a whim with no prompting what-so-ever, I made a Magnemite. yep. Just that. 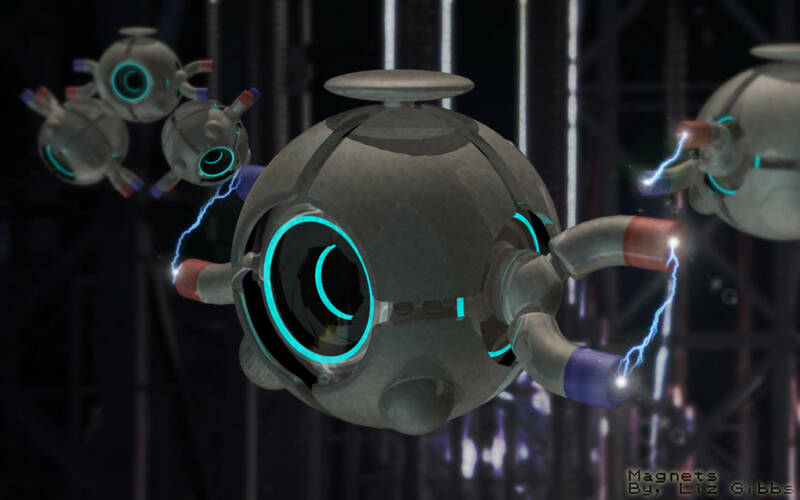 Three of them together is an evolved form Magneton. So with a whopping FOUR HOURS spent on this, I stuck my signature on the corner and posted it online. And that wraps up my exposition! Besides, who doesn't like exposing themselves? Er... artistically? Tomorrow I'll start with my current, actual, true-blue, really, really Work in Progress stuff. Like - Starrigger on March 1, 2019. 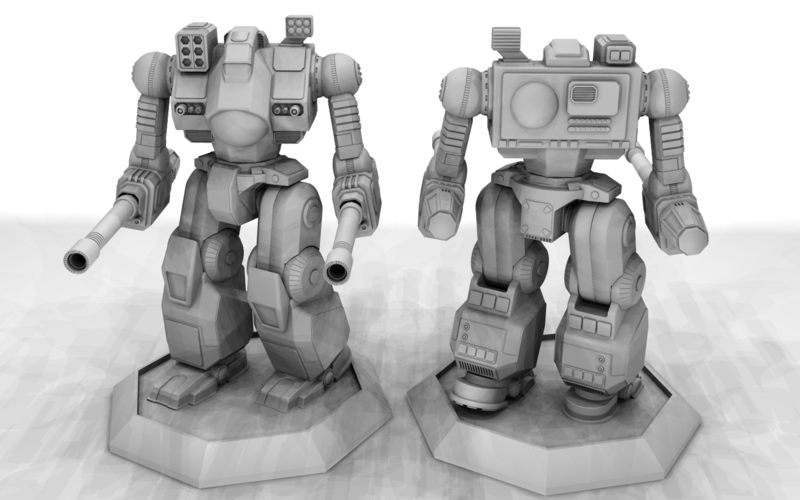 While I was working on the the Balgaire project, a gaming group I'm a part of on Facebook was in the process of hosting a Design a Mech Contest. Unfortunately for me I couldn't really join in the fun because I wanted to focus on a paying gig and finish it (I felt it was long overdue). When everything was settled, I had a week left to enter my own submission for the design contest. This was the result. Definitely a rush job by the looks of it. At least I had a base concept to work from! The community were the judges and in a ranked vote, mine placed sixth out of 19 or so entries. But the results weren't even close. My 18 to the winner's 100+. I think my major flaw was holding back on minor details since the rules called for a rough sketch. And well...I don't sketch. I "sketch" with basic 3D shapes. Realizing early on that my design wouldn't win the contest, I figured I'd work out the final mech anyway. Why let a good idea go to waste? So I started by drastically redesigning the cockpit. And continued to add details. And then started rebuilding the upper torso for a better defined shape as well as figuring out how to mount the head piece. Then I realized it needed a "chin" to fill in the gaps and some other detailing. And finally once I got the mech head to where I liked it, this was the final result! Now my next step is to work out a shoulder mounted cannon. This is my first attempt and I think it's crap. Absolute garbage! Alright, not that bad. Maybe it could work on another model, but it doesn't fit the aesthetic that I'm trying to develop here. Trying to change design style to a more personalized one after years of working out someone else's ideas is like trying to change how your handwriting looks. I really want to move away from 1980s era styles (BattleTech and ST:TNG are my biggest influences) and move onto something a lot more modern. So...Shoulder gun. This one might take me a bit to figure out. Can't figure out a design from scratch? KITBASH! I'll rebuild the parts to better suit the overall look of the model. Love seeing your evolution. I look forward to seeing into your future. Like - Lizzy777 on March 1, 2019.
haha Yeah! I look back on my stuff from almost 20 years ago and wonder how it is that I got from there to where I am now. I'd since realized that get better, I'd have to keep pushing myself. The prevalence of digital CGI in films and TV means that people are getting used to it and can spot dated or lackluster work. So I gotta learn new stuff, update my techniques and even try to pick up new software. Or find a niche that I can fit into (like 3D printing) before the next thing shows up. 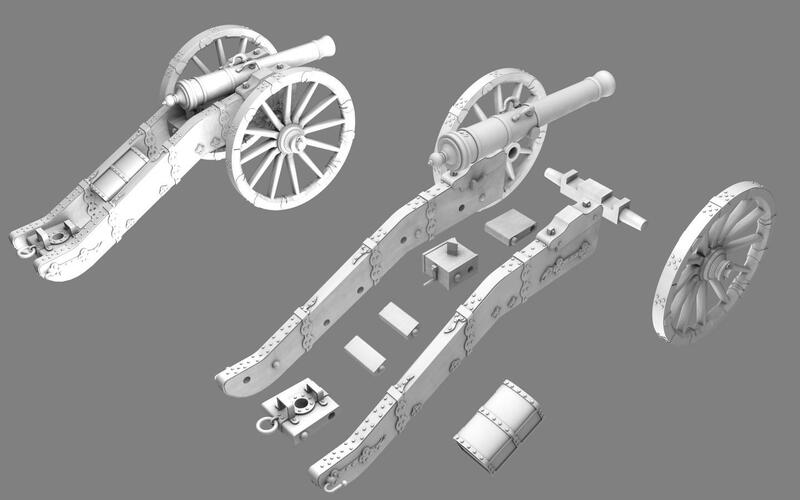 Completely rebuilt the shoulder cannon to better fit the design idea I have in mind. Looks similar to my kitbashed parts with some extra detailing. Now to figure out how I want to do the boxy looking mount section. Didn't much care for that muzzle break design after making it. So I rebuilt it. I also reworked the lasers and added some panel lines to the chest and upper back. Why does it seem like the little stuff always takes the most time to work out? Nice stuff! I noticed you mentioned you'd like to break away from the 1980s styles. 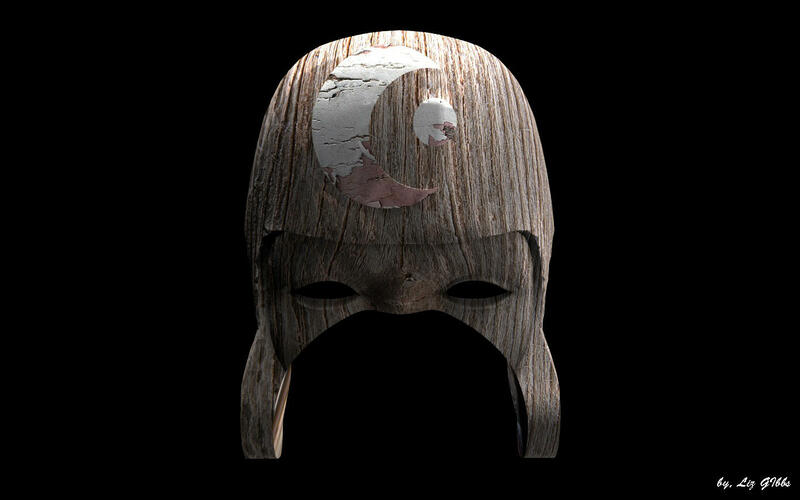 Maybe you could model some of my concepts for a different feel? It's never too late to pick it up again! And you do have a plethora of concepts to work out going by your posts here. The biggest hurdle is just learning the software. I love the little shoulder mounted mini-gun. Looks so tiny but I imagine the people it's firing on wouldn't have the same thought. Like - Lizzy777 on March 7, 2019. I have picked up again! Currently learning blender. I have so many more concepts on my Instagram hehe. Can't wait to get them out! Thanks! It is amusing when seeing in that light! I suppose it could be used on infantry. But in this context it is (or will be) an anti-missile system. Similar in concept to the Phalanx CIWS. You can see where I originally used it on my Loki/Hellbringer omnimech. I was originally going to place it on the center, but then I completely redesigned my cockpit cocncept from incorporated into the torso to the head design I have now. Sadly the bit I'm using as a placeholder won't really print out and cast properly at 6mm scale. So it's on the list of parts to be replaced. Still picking at the shoulders. Plus some panel lines on the torso. I'd like to be a bit further along, but I keep moving stuff and messing and all that. Not sure how many times I've reworked and rebuilt some of these bits. I have made some progress on my mech design. Just not enough to warrant an update. I dunno. It was mostly tiny details that were added to the upper torso section. Other than that, I'm basically stuck on how to progress to the waist area. When I figure that out, I can then finish the back. 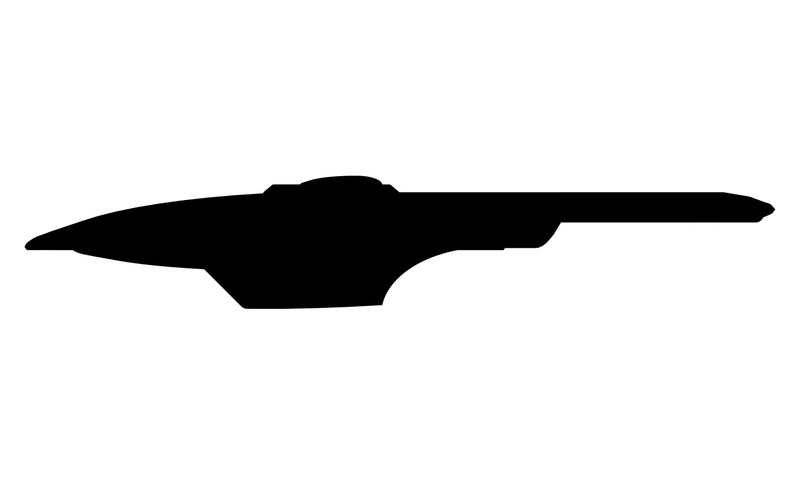 So to keep my art mojo going, I thought I'd take a crack at a friend's Aerospace Fighter design (Yes... 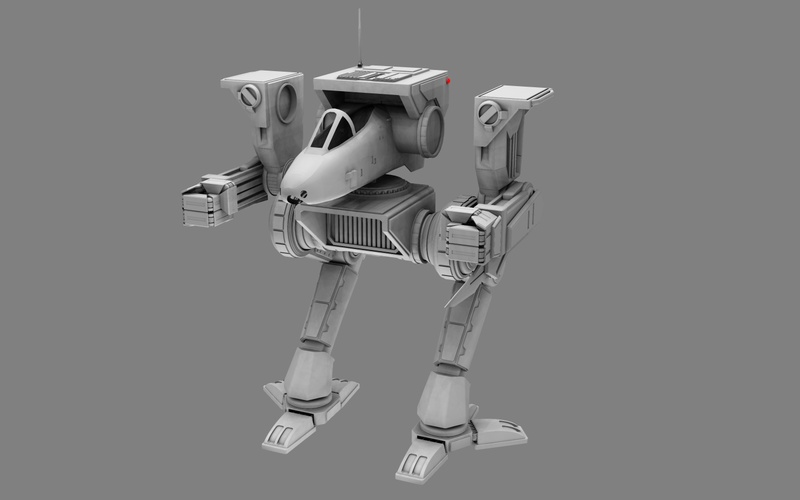 It's from BattleTech...) the Thrush II. I blocked out two possible design approaches. Flipping the wings around makes it look like a sea turtle! Something I noticed missing on the original Thrush (and every other aerospace fighter) was the complete lack of RCS thrusters. So a detail I'll definitely add are RCS thrusters. Gotta have them for manuvering in space! 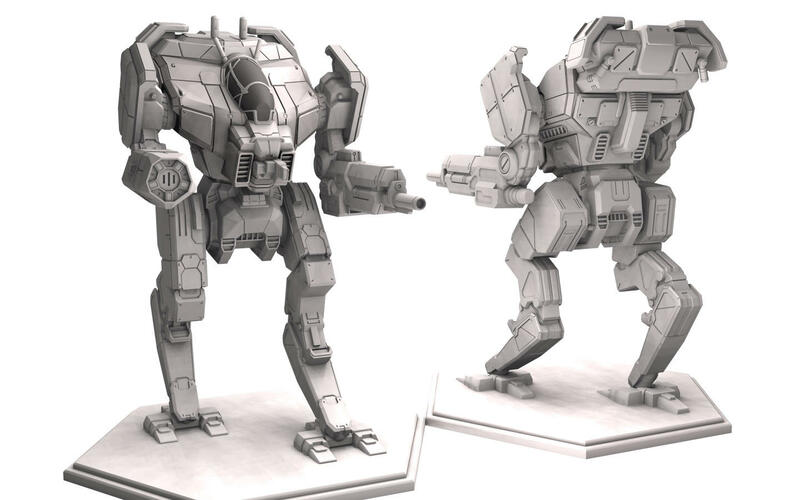 Also Battletech doesn't have Repulsors like they do in Star Wars or HALO. Ahhh forcefields. The "It works...because magic!" rationale for Sci-Fi. 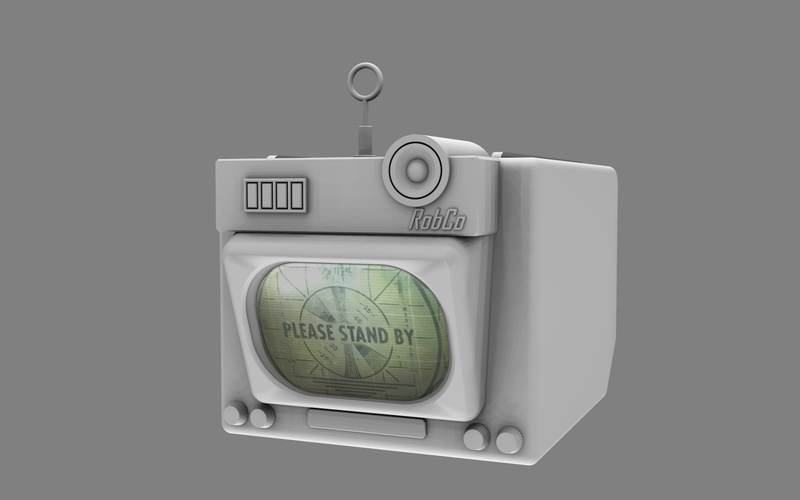 Anyway I'm not sure how far I'll take this, or whether or not I want to design it for tabletop 3D print, or as a visual display model with a lot more detail. Right now I'm seeing it as more of a design exercise rather than a full time project. 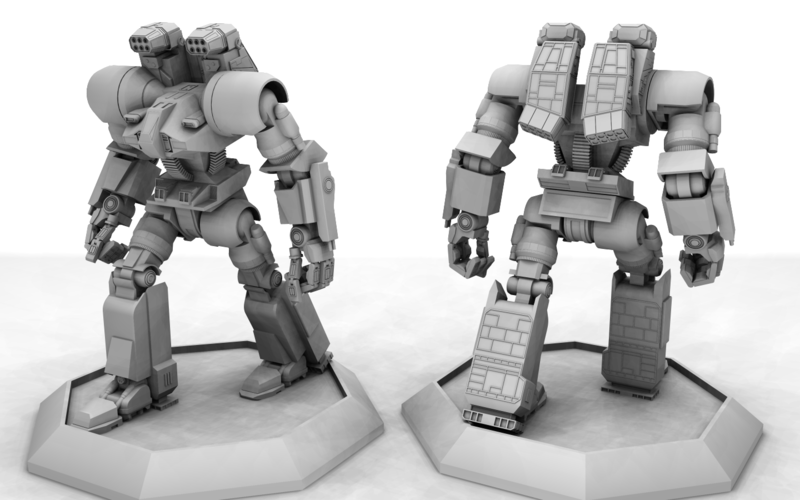 Besides, I really need to complete the unnamed mech before I get too wrapped up in a new project. I did manage to finish the shoulders and completely rebuilt the anti-missile gun along with those tiny details. So there's that, I guess. Like - ashleytinger on March 18, 2019. Slow progress is still progress! Not 100% on the abdominal intake vent thingies. But I like the shape and placement. I also have an idea how to finish the abdomen itself. After that I can move to the back and start detail work there. I'll figure out the shoulder sockets when I start on the upper arms. But right now that seems a long way off. Like - ashleytinger on March 25, 2019. So, I got an idea. 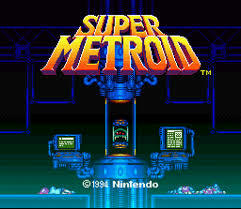 I'm going to remake that screen shot from Super Metroid. Unfortunately, this model is kinda crap. Not only that, I built it soo poorly that it's difficult to manipulate. And when I deconstructed it, there were extra parts that I don't even remember leaving in and don't remember why I made it the way I did. That and I'm not all that happy with the textures and colors. Some of it's okay? But yeah, it needs a rebuild. Rather than trying to optimize my gooey little critter, I'll just rebuild it instead! 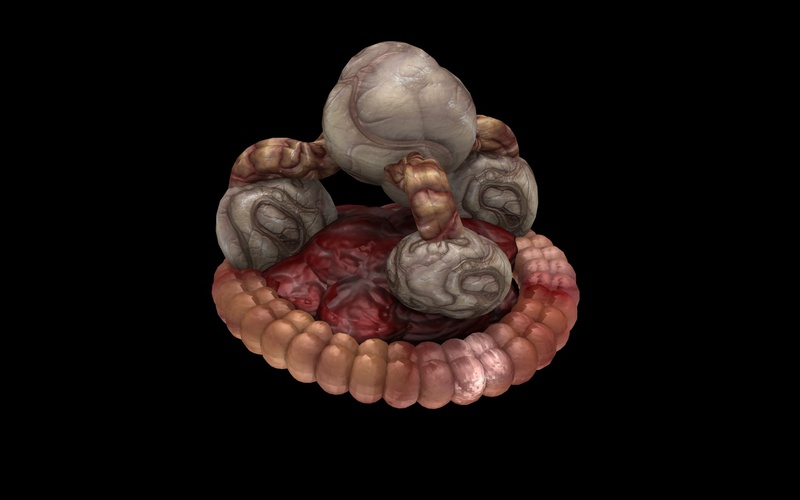 So lets start with the guts! ...and the underside. 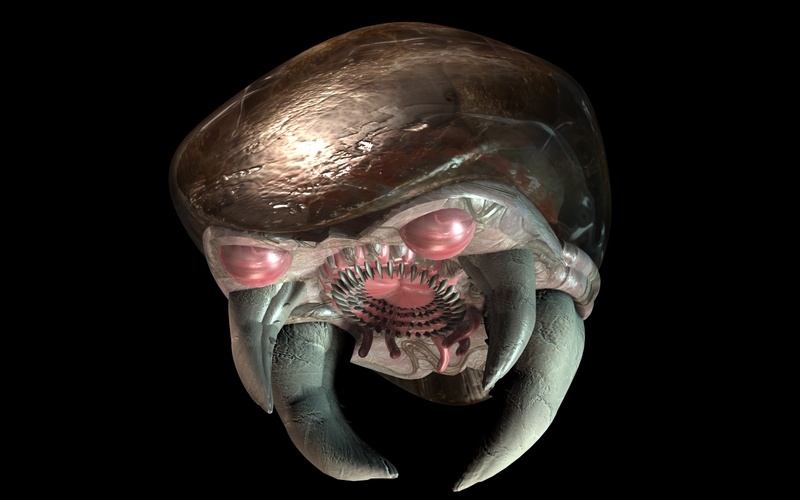 I think I'll make the rear, larger mandibles into toothy tentacles instead. Right now they're placeholders. I also need to add something to that gaping maw. It doesn't look quite right just yet. And to anyone looking at this while eating? Sorry about that! Here's something a little less...organic. I'm nearly done with the waist section of the torso build. But I feel like it tapers inward too much. So Im going to rebuild the bits below the vents so that it flares outward instead. We've looked into the matter and Lizzy provided ample evidence that the model is hers. Ulimann hasn't provided further evidence to back his claims and it's been two days. So we are re opening the thread because it's unfair to Lizzy to keep her waiting to post here over nothing basically. As far as we are concerned, she's clear to keep posting. Like - Lizzy777 on March 30, 2019. I guess this is the reason why more and more 3D-artists decide to NOT share there work with other people. I´ve also reacted and removed all my meshes from all sites where I´ve uploaded it. Sorry - but sorry NO !! I feel like I should comment on this matter, it's just that I don't know if I should. But then in saying that, I guess I already have. So I'll just try to clear things a little if I can. Did I use someone else's model? No. I didn't even know one was available for download. Did I reference the design while making my own? Looking through my references gallery, yes. Among others that is. However it wasn't the main reference. For that I went straight to the source; I looked up Sean Tourangeau's gallery (Artstation link) and grabbed a number of screen shots from Prelude to Axanar. In my original post that featured the USS Dakota, I did link to the build gallery. ( http://fav.me/dchtqo6 ) Maybe it was easy to miss since the URL was embedded in the text. However it shows the progression and evolution of the model from when I started to cut the windows into the saucer section, to the moment I decided to go from Pre-TOS to TMP, through the multiple design changes to Tourangeau's original concept to better fit the TMP aesthetic. To achieve this, I pulled some parts off of my USS Fubuki model. ( http://fav.me/d2i8inv ). But I did that model almost 10 years ago and my methods had changed since then. So I ended up rebuilding the phaser ball turrets, the bridge and warp nacells, as well as the aft-dorsal greebles and the impulse engine reactor domes. I also rebuilt the docking hatches. I think the only that part I hadn't rebuilt were the navigation and formation lights. One thing I couldn't fit was the TMP style torpedo launchers which prompted one of the more noticable hull changes. The forward torpedo tubes. I couldn't figure out how to stick the launcher nurnies onto the side! No matter what kind of cut I made, it just didn't look right. So I stuck them under the saucer, just above the deflector housing. Why did I do this? TORPEDOS! Yep, those pesky launchers again. The TMP style launchers are a fair bit larger than the simple tubes of the TOS era launchers. Lowering the hull section a bit to provide clearance just made sense. It's also why I made the deflector dish smaller. To have room for the forward launchers. From there it was just adding smaller details, designing TMP wedge-shaped warp engine pylons, and attaching the TMP engines. 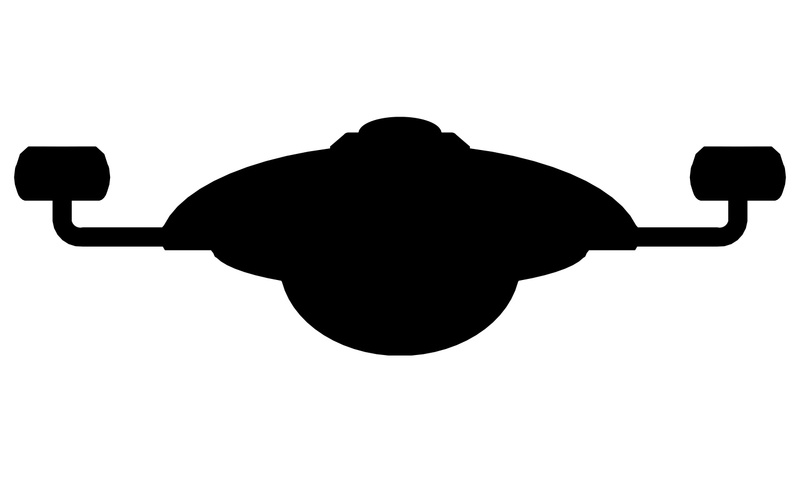 And it was at that point when detailing the RCS thrusters on the tail end of the ship that I realized I forgotten them on the saucer. And then finally... FINALLY! After two months of dedicated work (I didn't work on any other project while doing this) I'd completed the model building phase. Seriously, I was burned out on building 'mechs. I NEEDED to do something completely different! And when my buddy Dan asked me to build a ship for his Trek RPG group, I jumped on it. And that's it! I hope it clears things up a bit. For my next post, I'll present some progress on a gelatinous space monster, plus some concept work on modular building pieces for tabletop games! 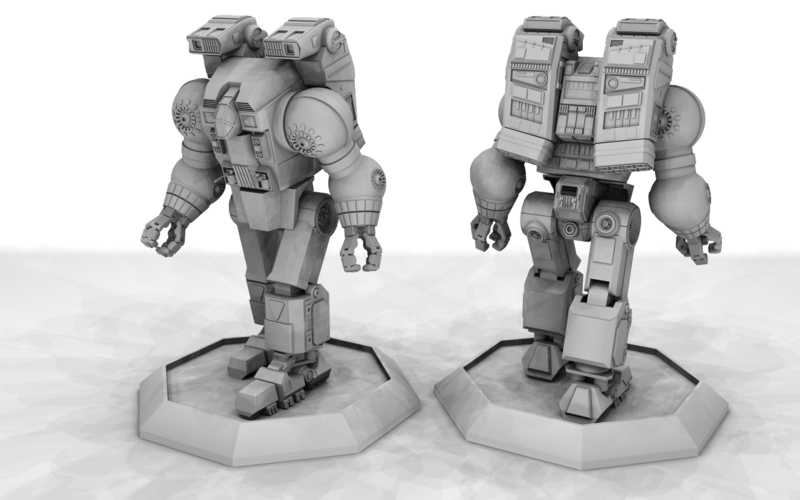 And maybe some progress on my Mech (I haven't made any progress on my mech...). Like - Rekkert on March 30, 2019. Metroid! 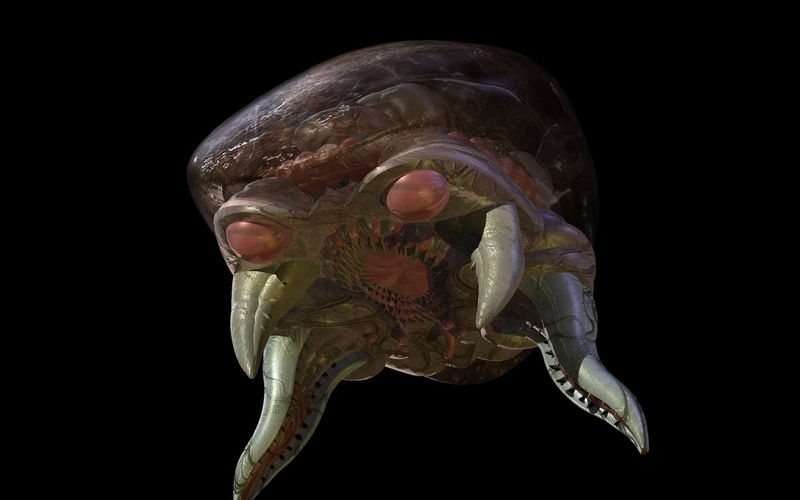 those little energy sucking critters from the planet Zebes! 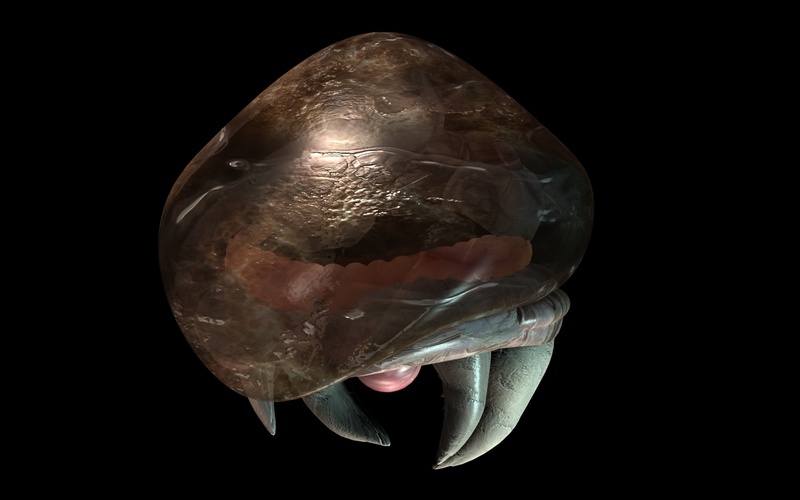 I've repurposed the original shell from my older Metroid model. Just reworked the textures a bit. 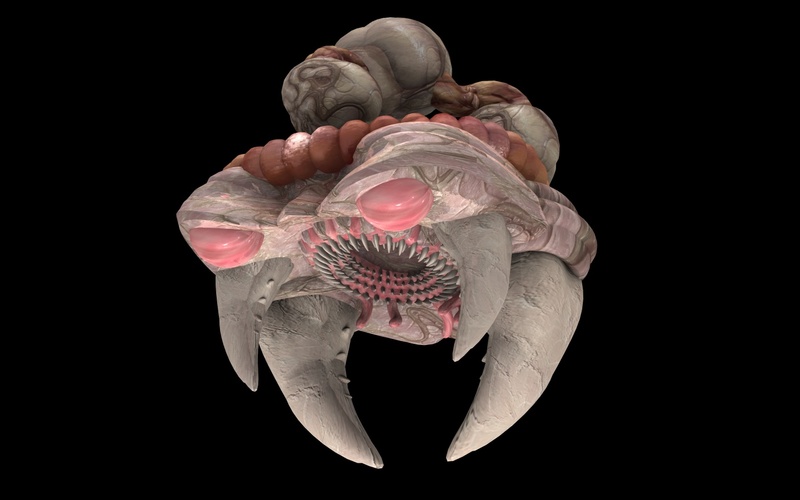 I also added a sphincter to the inner part of the mouth because... Well it's biological. Now to give it some tentacles. Because every space monster needs tentacles! Dude, I realize you're frustrated, but what exactly would you have us do? We asked Lizzy, and got plenty of progress images and wireframes, most of which have been available publicly for a good while now. It's clear she used your model as reference, but actual pieces of your model seem very unlikely. Join our fancy new Discord Server! 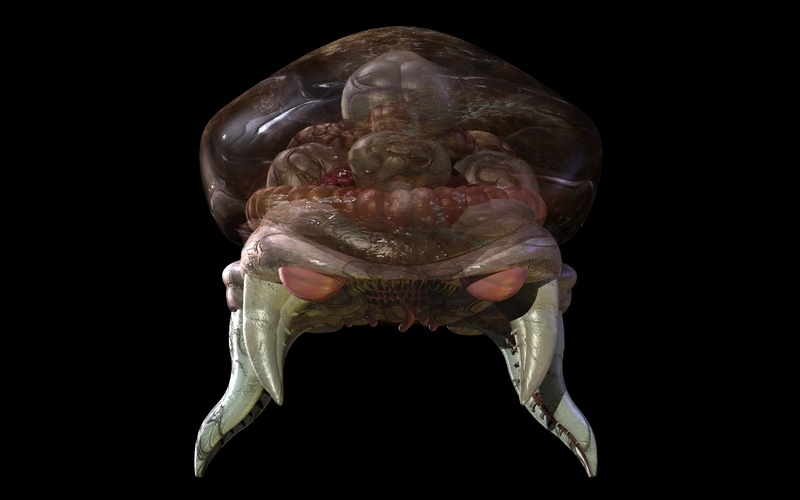 That Metroid's great! Gross, but looks great. It needs some subsurface scattering since it's an organic thing. Without it, it'll look like plastic. Forgive my ignorance, does Truespace have that? Like - Lizzy777 on March 31, 2019. Wow, I've been doing hard surfaces for so long I forgot about that! Yeah, there are shaders that can do something like that. ShaderMagic plugin that I can think of off the top of my head. There's also Dribble which is designed specifically for that. I'm sure I have a few more installed as well that I can try out. Natively I can use the Translucency shader (which just has translucency) to get a subsurface scattering effect. Though oddly enough, for this model where I want some gloss, the Translucency Plastic shader has slider options for luminosity, diffusion, reflectance, and specularity. 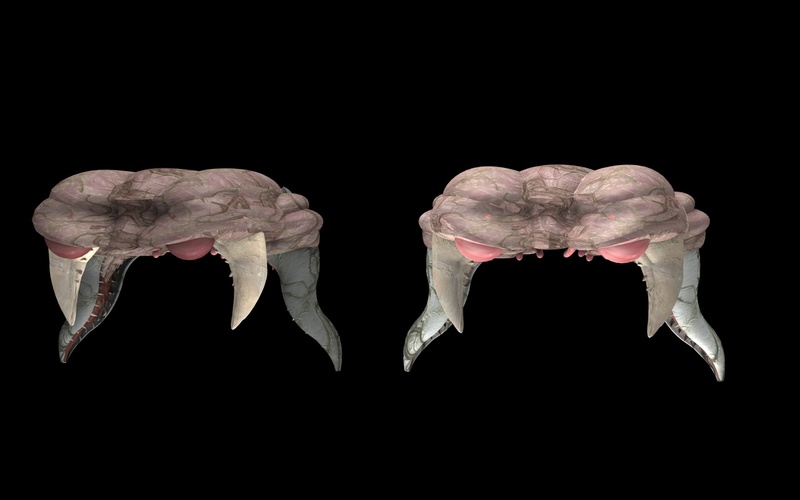 So here's a quick application of SSS materials on the left-hand organic, with my original phong settings on the right. I used the Translucency Plastic shader and tweaked the settings a bit to make it look a bit less like plastic (I hope). Though I'm using a simple light setup for this test so I'm not sure how it'd look with GI settings just yet. I'll definitely have to play around and see what I can do. Like - ashleytinger on March 31, 2019.